Whatsapp mobile messenger is a cross platform mobile messenger through which you can text, share pictures and videos over the internet. This free mobile messaging application allows a user to send and receive messages in the form of texts, pictures and videos from anywhere in the world. This application is compatible with mobiles phones like iPhones, Blackberry, Android and Nokia. But other tablet users like iPad have not been able to use this application on their tablets. Today I am going to show you a simple trick how you can use Whatsapp mobile messenger on your iPad and other tablets like it. Note this will only work for iPads or iPod touchs that have been jailbroken. Whether it is iPad 1, iPad 2, iPad 3 or iPod touch this trick will work. 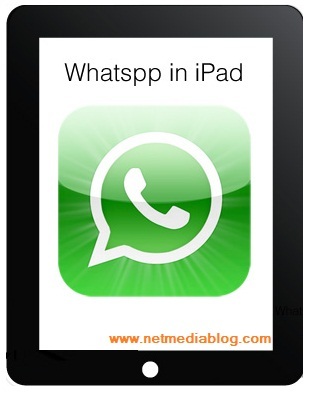 Connect your iPad or iPod touch to your computer, and then download Whatsapp for iPhone on your computer using iTunes. Next run the iPhone Configuration Utility downloaded earlier on your computer. Click on the icon for your connected iPad. Click on the application tab at the top of the screen, and click on add, then browse and locate the Whatsapp earlier downloaded. Its normally located on the mobile application folder under iTune media. Then install the Whatsapp application, on successful installation Whatsapp will appear on your iPad’s springboard. After installation, open Cydia and look for WhatsPad in the Big Boss repository. Then launch the installed Whatsapp and complete the registration just like you do on phone. A 3 digit pin will be sent to you via SMS. Note to use a valid phone number for your registration since the activation code will be sent to the number you used while registering your Whatsapp. Since the app is designed for iPhone and iPod Touch, you could use FullForce Cydia app to force it to utilize all the pixels on your iPad screen. If you find above post on “How to use Whatsapp on iPad” interesting and useful, please share this post with your friends using the share tools on the left hand side of the browser or the ones under this post. Please if you haven’t liked our Facebook page simply click on the “Like” button on the right hand side of the browser. You can also follow us on Twitter right under the Facebook page. I hope you read my blog post on “How to email chat history in Whatsapp“. If you like this blog posts Subscribe to NetMediaBlog Feeds by Email so you can be getting more of my posts on your email even when you are offline. Thanks and am glad you like it…. wow! i never thought this was possible on the iTouch. Thanks for sharing.